Am I the only one who absolutely loves leather accessories? Whether I’m at the barn teaching and riding or out and about, I can’t help but add an elegant leather accessory to my outfit. 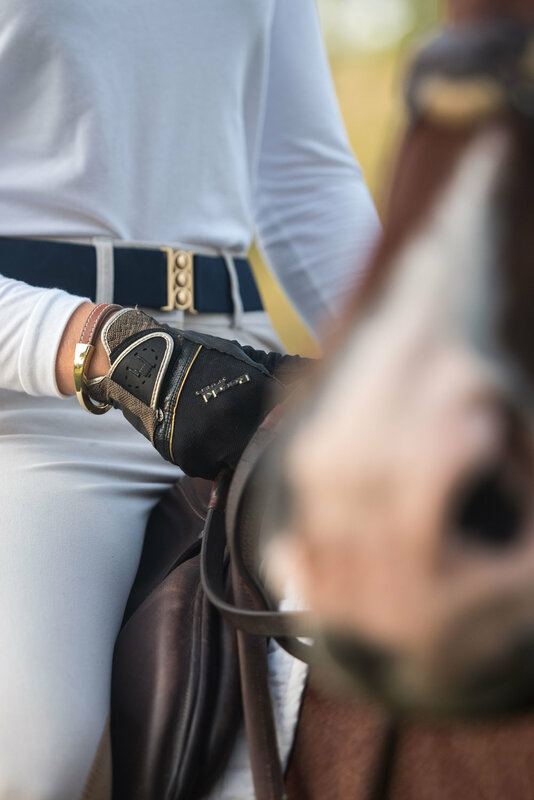 I love that they match with almost everything and add an equestrian chic touch to any wardrobe. This leather bracelet by Surpiqure is the perfect addition to any outfit! The combination of metal and leather make this piece absolutely gorgeous. I’m wearing the bracelet in the color “camel”, but it’s available in three other colors that are just as beautiful. I definitely had a hard time choosing a color, but I had to go with the classic look of the “camel”. I’ve worn this bracelet SO much since I got it! It wasn’t stiff and didn’t need to be broken in like many other leather accessories. You can check out their other pieces on their website. Their products are a great gift for equestrians and non-equestrian loved ones. I know I have a few others from the Surpiqure collection on my wishlist this year!